The Spanish Company IBARMIA, with headquarters in Azkoitia (Gipuzkoa), specialized in manufacturing high technology machining centers, signed an agreement of intent together with the combined company SHANDONG IRAETA HEAVY INDUSTRY STOCK CO., LTD.
he Spanish Company IBARMIA, with headquarters in Azkoitia (Gipuzkoa), specialized in manufacturing 5 axis and multiprocess machining centers of high technology, signed today, Thursday 20th of April an agreement of intent together with the combined company SHANDONG IRAETA HEAVY INDUSTRY STOCK CO., LTD. (SIHI) specialized in forging and big flange machining as well as machine tool manufacturing. SIHI is at the same time a Spanish-Chinese joint venture between Mr. Niu Yugang and GRI (Gonvarri Group). This agreement, pending confirmation by Executive Boards of both partners completes the creation of a joint venture to manufacture machining centers of high technological for a better positioning in the Chinese market of the manufacturer IBARMIA. By creating this new company, IBARMIA seeks to improve the sales of machining centers in China, supplying locally, the high technology machines that will be ordered by the Asian giant in the next years within their 13th five-year plan and the Made in China 2025 strategy. This way, IBARMIA aims to triple their sales volume in China where they already have a 10-year experience, a market that could become one of their main clients. The new combined company will be based in Guanzhuang, province of Shandong, in 10.500 m2 new building specifically designed for the manufacture of 5axis and multiprocess machining centers of high accuracy. 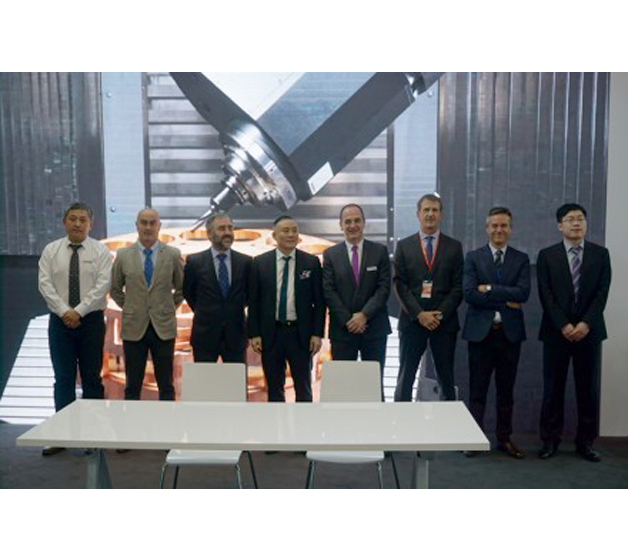 The signature of the agreement has taken place within the International Machine Tool show CIMT hosted in Pekin between the 17th and 22nd of April 2017. The IBARMIA stand was the chosen location for the agreement between the General Directors of both sides (Mr. Arandia and Mr. Niu). Mr. Imaz, CEO of GRI was also present during the signature.